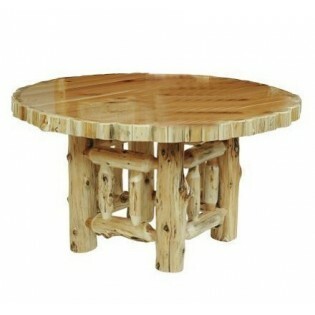 These Round Log Dining Tables provide a rugged rustic look to any dining area. 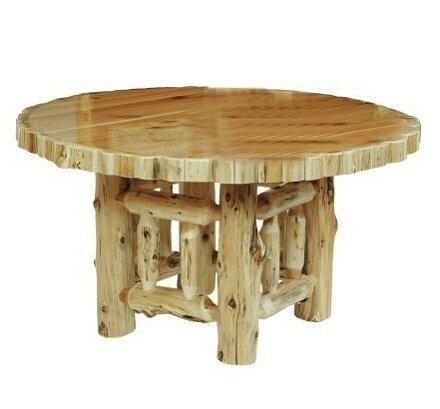 These tables are individually hand crafted of hand peeled white cedar logs giving them a natural rustic look. A clear coat with a catalyzed lacquer finish for extra durability gives a soft furniture look.